Made of a solid Red Oak block, drill-pressed and hand-sanded to a silky smooth texture, then double-stained and sealed with a semi-gloss coating. The matching magnetic stylus is also handworked from a solid Red Oak dowel, with a drilled cavity to snuggly house the neodymium magnet. 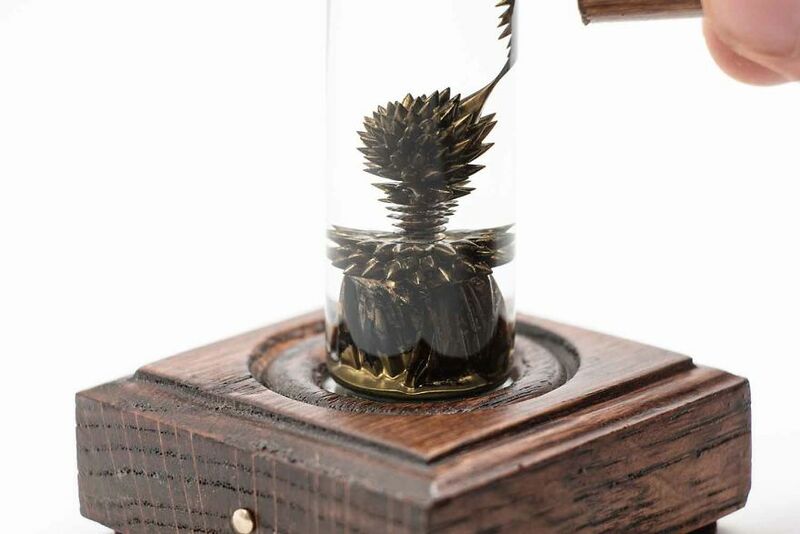 High-quality laboratory grade glass chamber is sealed with a custom-made closure to root the Nano Tree trunk in place. 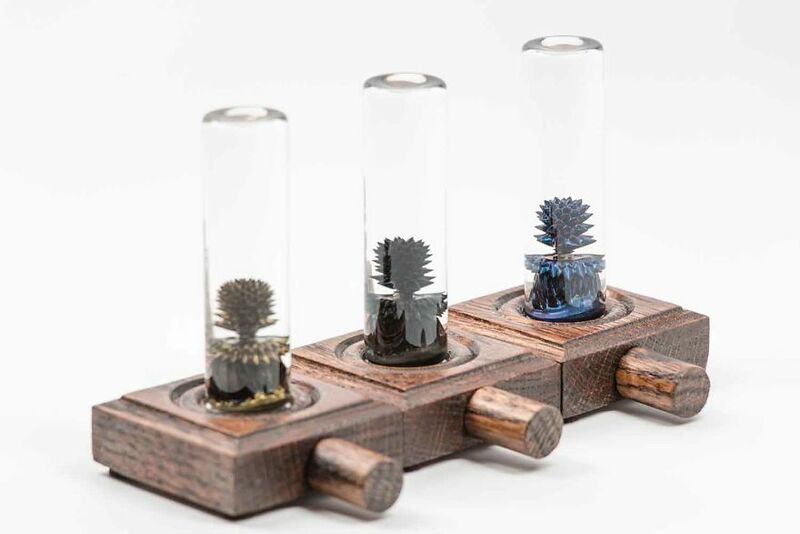 A fascinating characteristic of ferrofluid is its ability to follow the grooves on a magnetized piece of metal. This is the classic, “Magnetized bolt experiment”. 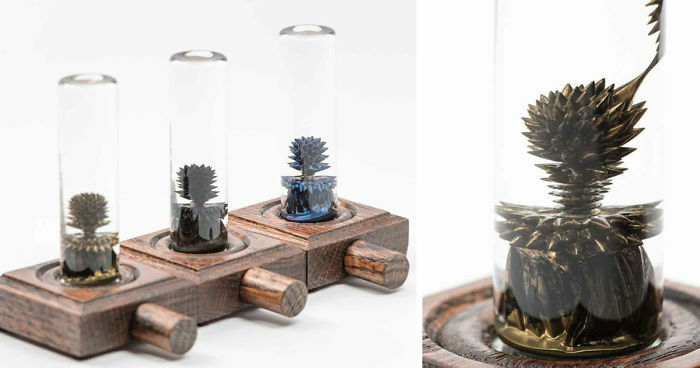 It’s incredibly satisfying watching ferrofluid spiraling around the grooves. 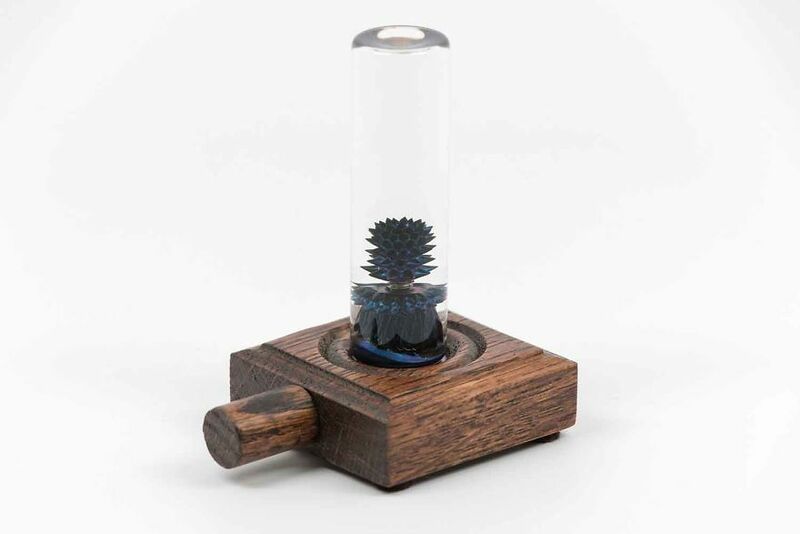 The passive ferrofluid bud is equally as impressive from an aesthetic point of view. Blending high technology nanochemistry and old-world craftsmanship, the Nano Tree will subtly complement any living or workspace. Inventor of the modern day ferrofluid display. I have a friend that would play with this for hours. That is super cool! But I'd never get any work done if I had one--an OCD/procrastinator's double-edged dream.